Wayne has a press to fit all of your sheet-fed printing needs. Our large presses are 5-color presses with coating capabilities. 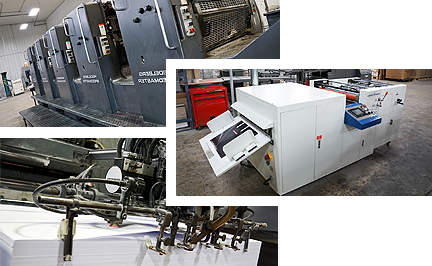 For short-run one- and two-color projects, our Heidelberg Quickmaster press fits the bill. Our full complement of equipment ensures that we hit your delivery dates without fail.